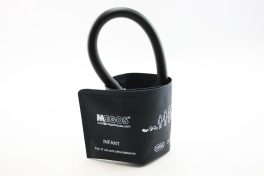 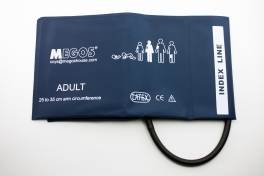 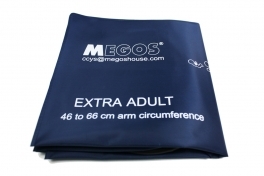 Megos reusable NIBP cuffs are constructed of durable, easy to clean, nylon material so to provide a long usable life and support multiple patient use. 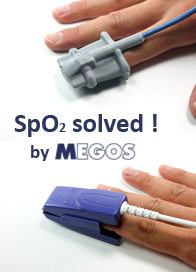 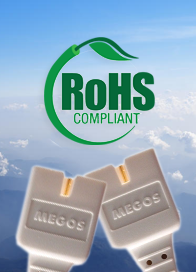 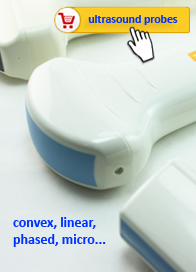 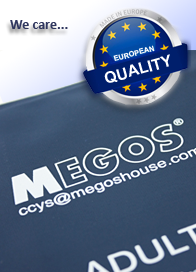 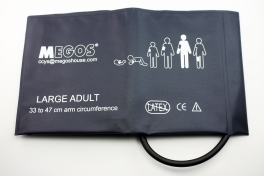 Megos bladderless design is accurate and meets AAMI and AHA cuff sizing recommendations. 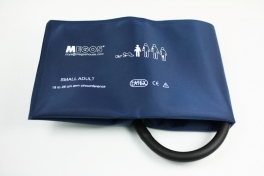 Color coded printing on each cuff makes it easy to identify cuff size. 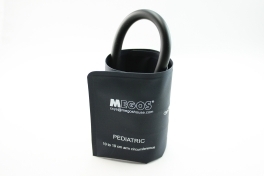 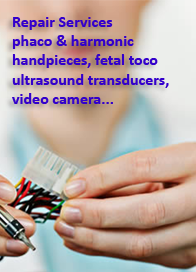 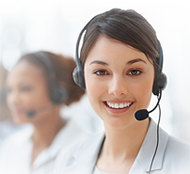 Compatible design to replace costly cuffs provided by monitor manufacturers.